Truthfully, I started writing picture books when I was a child. I was alone a lot so I immersed myself in library books, delighted to fall into their stories. As an adult, first as a teacher then as a mother, I must have read a million picture books and each one tugged me to try, but the timing was wrong. When my husband’s new job took me away from teaching, I saw it as the opportunity it was. I wrote the first draft of The Blue Roses, then another draft and another. It received its fair share of rejections but I believed in it. 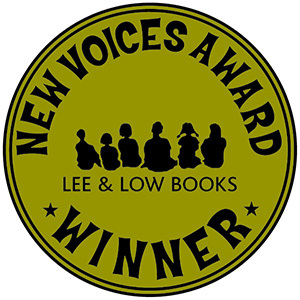 When Lee and Low Books posted about the New Voices Award, I submitted. When I won, I thought it was one of my adult kids tricking me! Still today, I have to pinch myself. I started writing picture books 15 years ago when I joined the Society of Children Book Writers & Illustrators. I devoured as many picture books as I could and took picture book writing classes at the UCLA Extension Writers’ Program. Having also been a journalist for many years, I was confident that writing short, to-the-point picture books would come naturally to me. However, my first few attempts at picture book writing were terrible. They bordered on being a bit too “precious” and even pretentious! One day, while surfing the Internet, I stumbled upon an article about Olympic Gold Medalist Dr. Sammy Lee. The article talked about how he overcame racial discrimination to win two Gold Medals at the Olympics in diving. I found his story to be very inspirational. I was surprised to see there were no children’s books on him. So I combined my journalism background with my new knowledge of picture book writing to write Sixteen Years in Sixteen Seconds: The Sammy Lee Story which won the 2003 Lee & Low “New Voices” Award. I finally found my niche as a picture book writer, combining my journalism experience with my love of story. Most importantly, I found my voice. I started writing picture books because I loved them so much as a child. -I loved reading them to my children and to my students. -Picture books can pique the interest of the reader or listener to learn more. -Writing picture books gives me structure and discipline because I have to tell my story in as few words as possible. -Picture books are reader-friendly because they can be read and enjoyed in one sitting. Until just a few years ago, I didn’t consider myself a word person, so writing was out. I had no confidence in my ability to string together a legible sentence, much less to correctly punctuate it. To gain confidence, I started a blog. I wrote something and posted there everyday. I learned to write in the public eye (which I don’t suggest). The positive feedback I received in the form of comments boosted my confidence. Writer friends began to suggest that I invest less time on the blog and more on a picture book manuscript. It Jes’ Happened became that manuscript. I also took an online picture book course with Anastasia Suen. The course required me to read about 300+ picture books. I immersed myself in the craft.